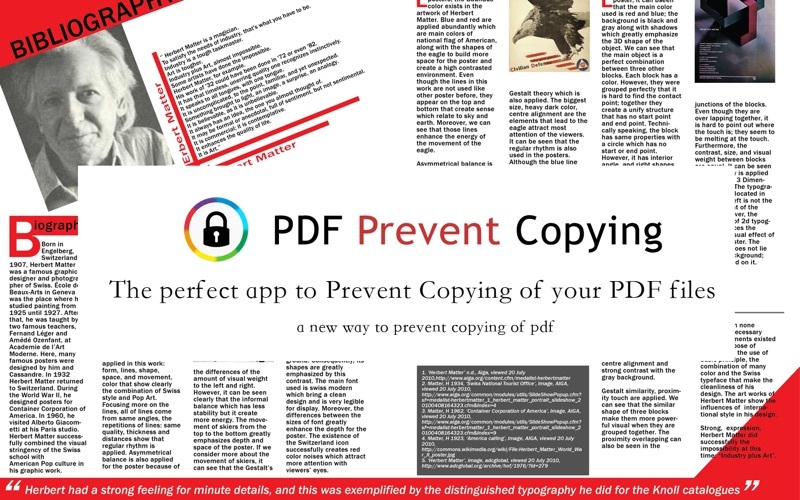 The perfect app to Prevent Copying of your PDF files. PDF Prevent Copying is a new way to protect your PDFs to prevent copying of PDF files. It's not use password to protect your PDFs, it will convert the PDFs to imaged PDF so any others can't copy content from the PDFs. How to Prevent Copying of PDF Files? You can prevent users from copying text, images and graphics from a PDF file by modifying the document's security settings in Adobe Acrobat. This step can protect the document's contents and manage the distribution and use of sensitive information. You can stop others from using the copy-and-paste function and disable printing of the document. When password protection is turned on, only people who have the password will be able to modify a PDF file. But this can be avoid by some PDF software. Now we have PDF Prevent Copying which can really protect your PDF so anyone else can't copy your PDF. How this works? First PDF Prevent Copying convert the PDF files to raster images and then convert them back to PDF. So you can send these raster imaged PDF to anyone and they can't copy content from it. 1. 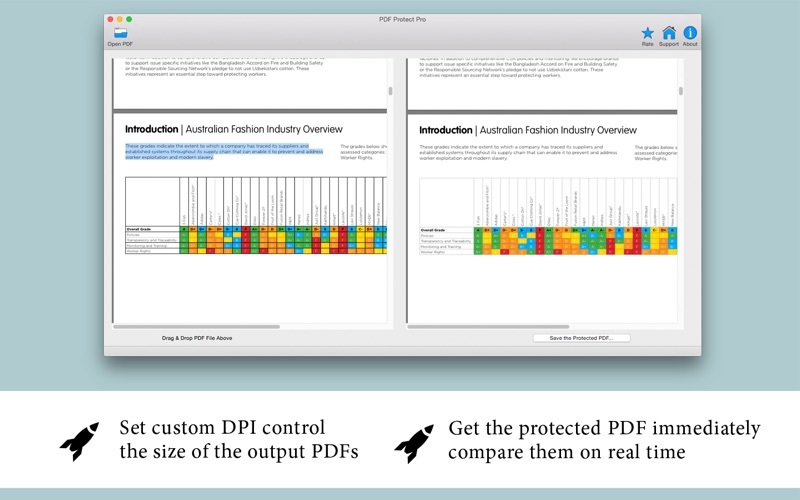 Set custom DPI so you can control the size of the output PDFs. 2. 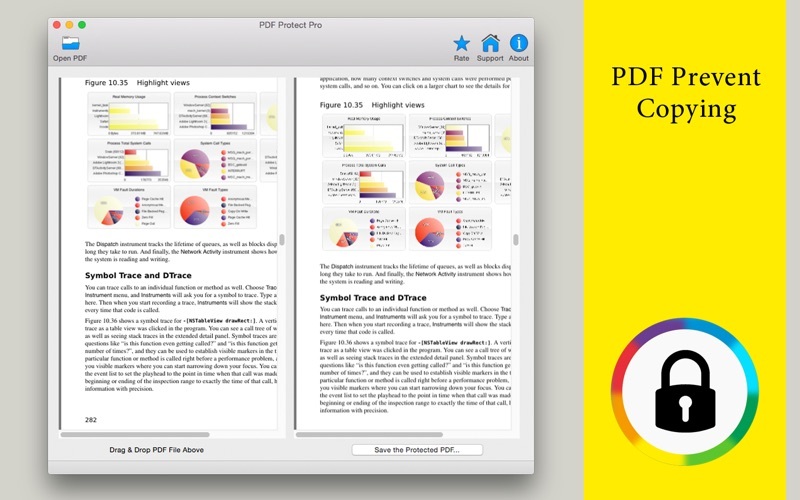 Open the PDF you can get the protected PDF immediately so you can compare them on real time.